天神英貴 or Hidetaka Tenjin is one of the best artists who draws mecha robots and planes, specifically Macross. His earlier book was exclusively on Macross, バルキリーズ 天神英貴マクロス画集 (Tenjin Hidetaka Art Works of Macross Valkyries). This 102-page paperback art book has also Gundam, Votoms, etc. There are a whole lot more robots, and hence variety. The illustrations still feature the same level of amazing details. This guy is fantastic at creating metallic textures, be it weathered, battered or scratched. A handful of Macross paintings are actually repeated from the previous art book. Beside the more technologically advanced mechas, there are also paintings on old Japanese war planes and a few portrait paintings, one which I can recognise as Adrien Brody from The Pianist. 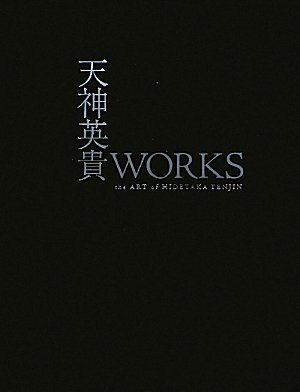 This is a great art book for mechas lovers. Hidetaka Tenjin is an amazing artist. His art seems to fly right off the page with such vivid colors and details. I see that you also review his other 2005 book Valkyries. Do you have or know any details about his 2011 book Valkyries Second Sortie? I am interested in all three of his books. I love Science Fiction art and am an avid collector of sci-fi and fantasy art books. My favorite artist is Chris Foss. He is an unparalelled talent. Your video reviews are wonderful. You have helped me immensely. Not only in purchasing several unbelievable sci-fi art books, but in expanding my love and knowledge of sci-fi, fantasy, and art in general. Thank you. I recently purchased The Art of EVE online which has not arrived yet. I also own Structura one and two as well. Have been thinking of purchasing Exodyssey and/or Quantumscapes. Knowing some of my interests, I was hoping you might have some recommendations for me. Thank you again and keep up the wonderful reviews!